We all ask ourselves, where did the time go? With jobs, children and other activities, many of us never seem to have enough time to plan or to simply to get a breather so we can figure out the next steps in our busy lives. Finding that smidgen of time to get our bearing on the upcoming day is often elusive, that is unless it’s scheduled. But I don’t have time for that, you say. Sure you do and the value of making space for it in our lives is incredibly beneficial because it can make us that more efficient so we can (sigh) be even more busy. For some, it’s that early morning hour when the house is still asleep and the quiet of the day allows for some thinking time and preplanning of our day. But for some, giving up that extra sack time in the morning is a nonstarter. So maybe it’s during a lunch break where instead of eating with co-workers, it’s a short walk to clear your mind and think through whatever needs some more detailed attention, not only that but the exercise will do you good. Or it can be after work, or on the way home while stuck in traffic (although staying focused on driving is the most important task). Others use Sunday evening to plan for the next week. Whatever works in the rhythm of your life, managing to squeeze in more time for planning makes for more fulfilling and thoughtful lives. Thinking we don’t have enough time is as old as, well, time itself. But think about how planning is important to getting things done. If you’re child is having a birthday party, thinking it through is vital if the event is to go well. What’s for dinner also takes planning. We bet you time shift your favorite tv show by recording it to watch later—you know you’ll make time for that. And you better hope that before you get on that plane for a vacation trip that the pilot and crew have taken the time to plan for the journey so you arrive safely and on time. 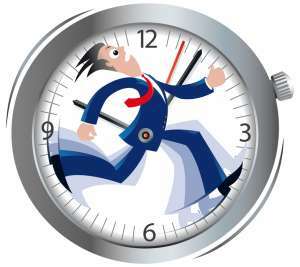 Managing your time is ironically about much more than time, it’s about priorities. When we pause to reflect about what needs to be accomplished we are able to see what will give us more bang for the buck, what’s really do or die and what’s significant in our lives. We can’t do everything which is why taking time to think allows us to figure out what we should be doing. How are you managing your time?